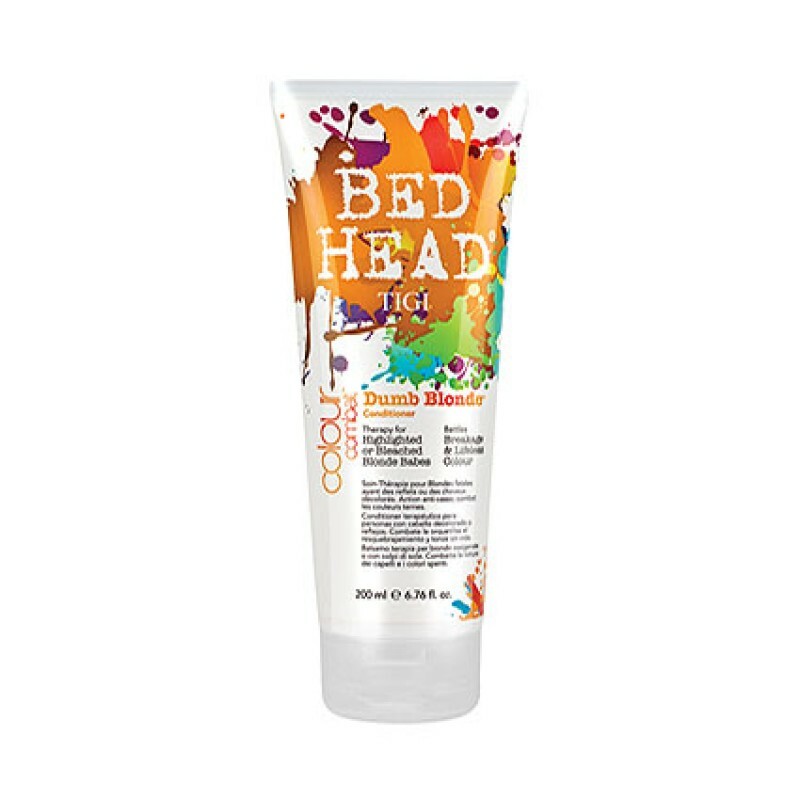 TIGI Bedhead Colour Combat Dumb Blonde Leave-In Conditioner is an deeply nourishing and repairing hair treatment. Formulated with protecting and reparative ingredients to smooth and lock in colour. The Colour Combat range has been formulated with Colour Lockdown Technology to protect hair that has been subject to bleach or multi-processed treatments. The range protects your colour from three major aggressors; Water, Heat and UV rays. These weaken and fade colour pigment and can leave your hair looking and feeling dull and lifeless! Review "Colour Combat Dumb Blonde Conditioner"